I saw this photo on one of my FB sites an it just looks so spring like! I had to share it. We had such a pretty day yesterday...60 degrees and some sunshine. I had the windows open for some fresh air and it was so nice. I haven't been blogging much. I love it blogging, but it just seems like I don't have the time to do much lately. Ever since my health issues last August, I haven't been able to get back to normal in lots of area. I am feeling so much better now, so hopefully, this spring will bring more restoration in many areas. 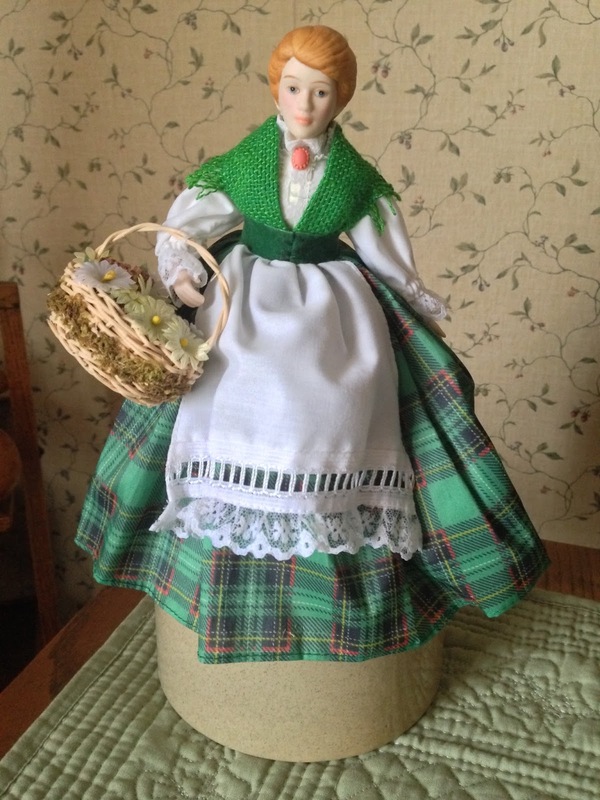 I posted some photos of my little Irish doll collection on my Tasha group on Thursday so wanted to share them here. 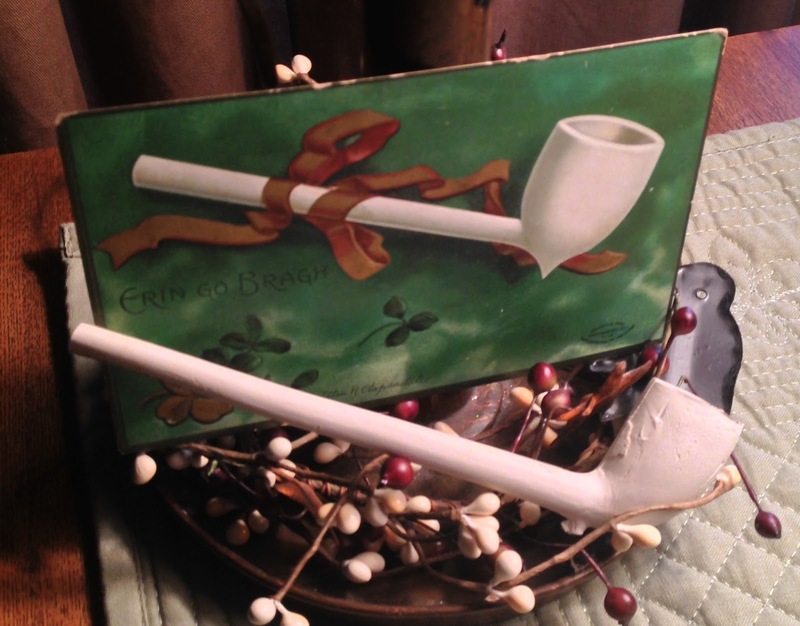 I do have a bit of Irish in me and just LOVE St Patrick's Day. Not sure how I will handle the dinner this year as I can't have corned beef or green cabbage. YIKES! This first doll is an Avon doll from the 1990's. Her name is Colleen and she really is quite nice for a mass produced doll. 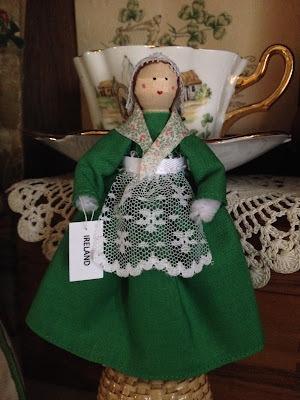 This little wee miss is a clothes pin doll that I found on Etsy. I think she is quite charming. I'v had this little guy for awhile. 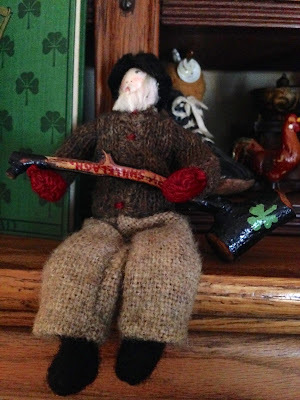 He is all dressed in wool and tweed and he just looks Irish to me. Not sure where he is really from, but he seems quite happy living with the St Patty's things. 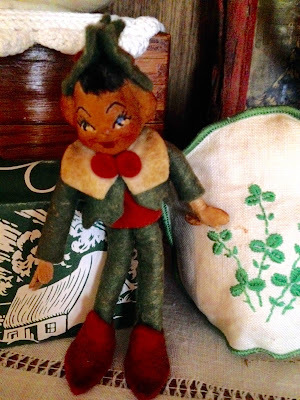 This little elf looks like he is a member of the Irish, so he likes to come out at this time of the year. Yep, I am a nut about all things Irish. It's just fun. My youngest daughter has traveled to Ireland. Oh, I wish I could go someday. 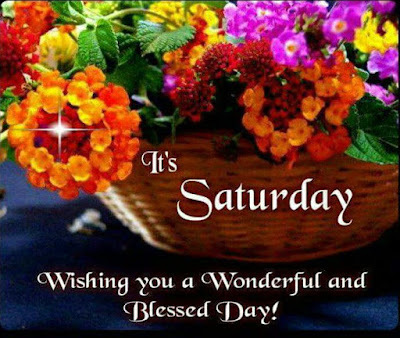 Happy Saturday and don't forget to spring ahead tonight with you clocks...daylight savings time begins. I do wish they would just pick one time and stick to it. I don't see the purpose of this anymore.